Hosted by Bailey the Siamese cat. Information on feline health, nutrition, behavior advice, product reviews, a cute kitty gallery and more. Caring for your cat is a comprehensive and easy to use online guide to cat care. Full of useful information for all cat owners. First Aid For Cats is designed for owners and cat lovers, in fact all caring persons, who want to know how to help a cat that is injured or sick, or who want to update and extend their knowledge of First Aid for cats. Some animals not only do strange things, they look weird as well. This site has funny pictures that encompass the love of animals. A resource dedicated to cats and cat information. 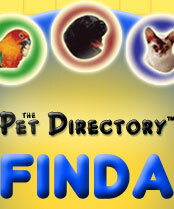 A pet finder with lists of cat breeds and cat breeders. Cat care and cat grooming and a guide to cat insurance. Fun stuff for cat lovers that includes cat names, cat quotes and beautiful pictures of cats. An indepth review of cat litter and cat litter boxes and cat articles written by experts in their field. A new Web directory for the best cat sites - submit your cat site for free! Articles about cat health and behavior, stray and feral cats, and information about vaccine induced sarcoma. A list of over twenty of the most common cat illnesses and diseases found throughout the world. Each illness link contains a photograph, information on what causes it, a list of signs and symptoms to look out for, and advice on treatment. There is also a handy links page, carefully chosen to link to the best cat resources on the internet, and a blog on more general cat issues. Cat Diaries is an online social forum created for cat lovers and includes a cat blog, cat forums, cat pictures and a number of cat videos. Something About Cats is a free cat and kitten forum and part of the Goodpasture Group's wild and domestic animal forum series. Share and rate photos of pets from around the world! You may also find pets advertised via adoption clinics. PopArtPal.com can create personalised canvas pop art pet portraits from your photos. Our photo to pop art rendering process onto canvas will turn your pet into a truly magical piece of modern art for your home! We ship internationally! *There are currently 202 people online.